GENEVA — A key opponent of high-tech, automated weapons known as "killer robots" is blaming countries like the U.S. and Russia for blocking consensus at a U.N.-backed conference, where most countries wanted to ensure that humans stay at the controls of lethal machines. 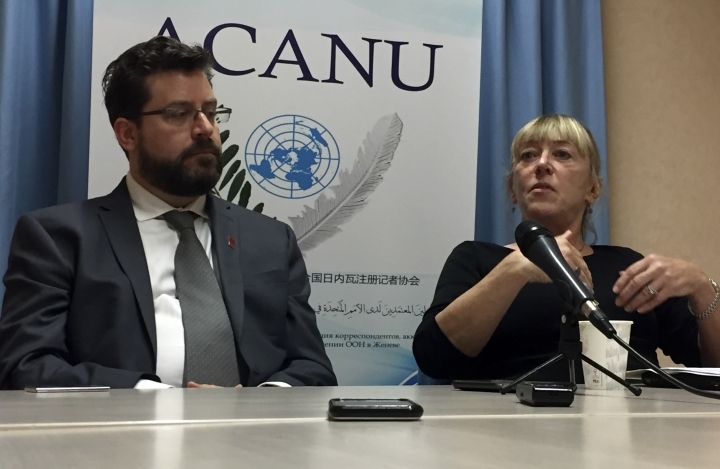 Coordinator Mary Wareham of the Campaign to Stop Killer Robots spoke Monday after experts from dozens of countries agreed before dawn Saturday at the U.N. in Geneva on 10 "possible guiding principles" about such "Lethal Automated Weapons Systems." Point 2 said: "Human responsibility for decisions on the use of weapons systems must be retained since accountability cannot be transferred to machines." Wareham said such language wasn't binding, adding that "it's time to start laying down some rules now." Members of the LAWS conference will meet again in November.